There are no photos with those IDs or post 15836 does not have any attached images! 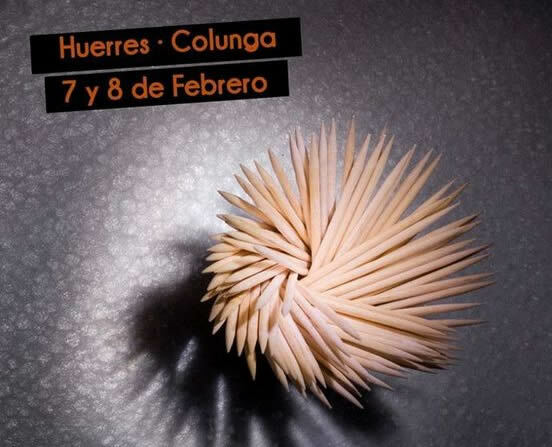 The town of Huerres, in the municipality of Colunga, will celebrate the next seven and eight of February the IV Days of the Oricios. The portion of oricios and the bottle of cider will be put on sale for ten euros. There will also be a good culinary offer: raw oricios, cooked oricios, croquettes of oricios, empanada of oricios, fabes with mushrooms and oricios, and also octopus to feira, Galician pork and grilled. Coinciding with the tide and the hand of the Interpretation Center Sierra del Sueve, didactic excursion on the fishing of the oricio. Maximum capacity: 15 people. Price: 8 € (Includes RC insurance and accidents). Marta Busta. Eutimio Restaurant, Lastres. Recipe: pork tenderloin in oricios sauce. Gonzalo Pañeda. Restaurant Auga, Gijón. Recipe: oricios and apples. The culture of the oricios, by Isabel Neira (Bachelor in Biology and Master in Aquaculture). Orchestras Sonora Real and Xoven District. The Oriciu de Honor, by the Asturian sculptor Kiko Urusti, will be awarded to the TPA program "Pueblos".